Do you have a boring wall in your space that needs sprucing up? Wanna give it instant bespoke designer appeal? 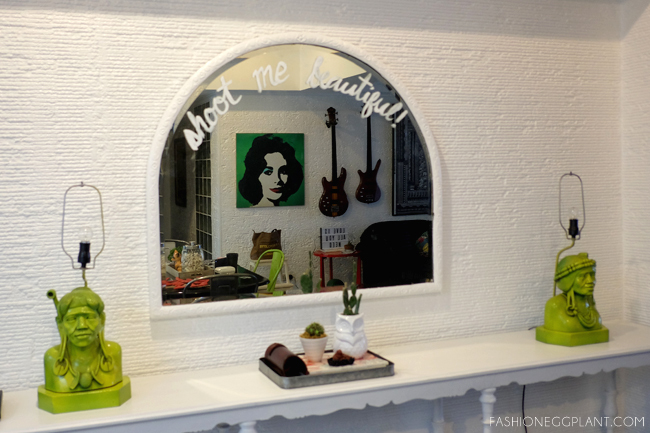 Learn how to make your own statement mirror in less than 10 minutes after the jump! Wipe mirror with a glass cleaner, make sure it's clean and dust-free. 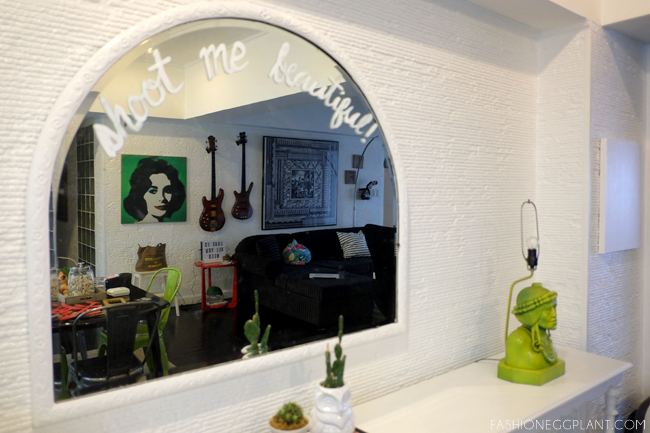 Think of a statement or doodle you want to paint on. 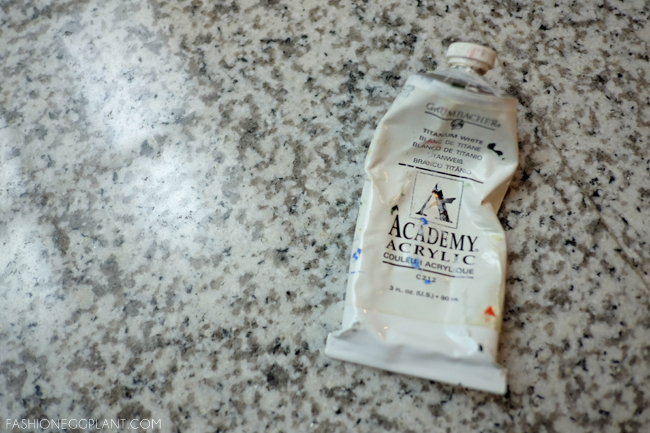 Dip your brush into some water, acrylic paint and paint on your message. The beauty of this is that you can easily wipe off any mistakes with a wet rag and do it over! For more, just click on the DIY tab on my right rail. hahaha, yourre welcome! its weird how little we know at our age! Thanks for clearing out some bra questions I have in mind!